These portraits look at childhood from the viewpoint of different children. Alongside play and great discoveries, more complex experiences can occur and each portrait touches on one aspect of the child’s life. From developing an awareness of choice, such as having an active voice, through to most-likely innate behaviours that reflect on wider narratives in society such as gender, play, and conflict. One image reminds us of the fantasy and escapism of childhood whilst another suggests and touches on how children may attempt to shape themselves, often reluctantly, to belong to the group. 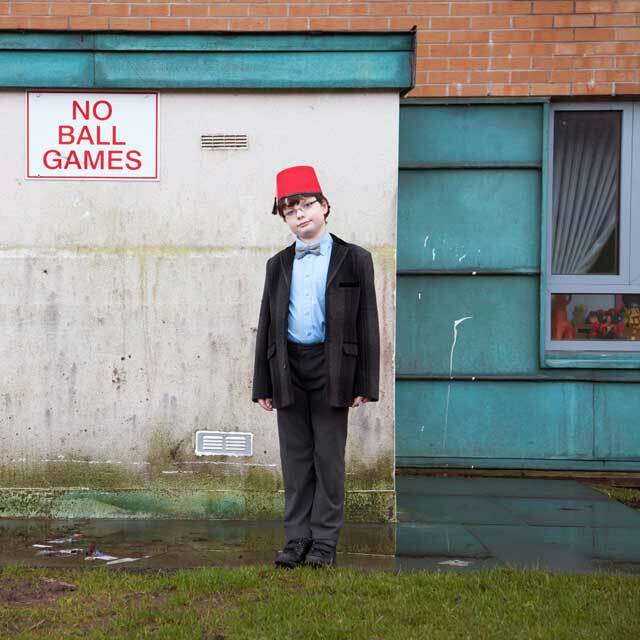 This set of photographs all feature children from Glasgow.